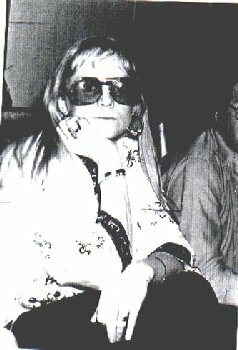 As compiler of the official Jackie DeShannon Songography, I was thrilled when Bill George told me last year about a previously unheard (by us) DeShannon song, Sweet bed of feeling, performed on a late 70s album by Priscilla Coolidge-Jones. 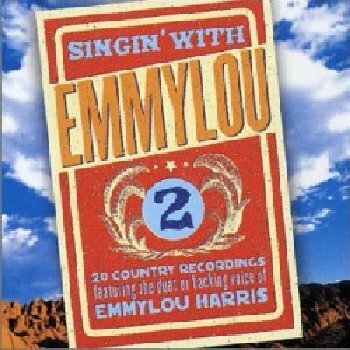 I was even more excited just a few days ago, when I was browsing through the Emmylou Harris section in my local CD shop, to find this track included on a compilation album, Singing with Emmylou 2. A few years ago, Raven, the eclectic Australian label, came up with the original Singing with Emmylou. Ms Harris does guest on an extraordinary number of other people's albums, and the idea of the compilation was to bring some of these guest appearances together. Included was one of my all time favourite songs, the wonderful Jann Browne duetting with Emmylou on the beautiful Mexican Wind, so I was well pleased. The new companion volume has 20 more brilliantly varied tracks, from a duet with a sombre Johnny Cash to a great country rocker with Nicolette Larson, a half-in-German coupling with Tom Astor and a lunatic Billy Joe Shaver. Standout tracks include a smouldering Tanya Tucker, the impossibly tragic voice of Bobby Cryner, The Woodys on a lovely Gretchen Peters song, and a sweet duet with Ireland's Mary Black. Then there's a heartbreaking story song with Matraca Berg, and a bitter heart-stopping outing with Lucinda Williams. And what of Sweet bed of feeling? Co-written with Donna Weiss, this comes across very much like Anna Karina on Jackie's wonderful Atlantic album. Emmylou is far into the background, but it's a joyful chooglin' rocker which will grace your collection of DeShannon compositions. Priscilla is, as you may have guessed, Rita Coolidge's sister, (as well as wife of Booker T. Jones) and Rita was a great friend of Donna Weiss throughout the 70s, which I'm certain explains how this song came to be recorded. The Coolidge sisters today perform Native American songs with one of their daughters. This is a nice album, and if you buy it, you'll be tempted to dig deeper into the repertoire of some of the performers. Now why haven't Emmylou and Jackie duetted?